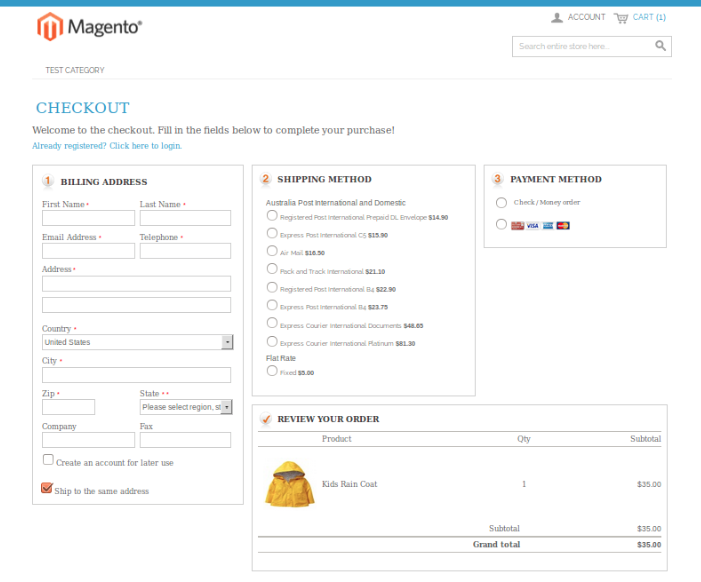 Offer the best and an easy shopping experience for your customers with our One Page Checkout Magento Extension. 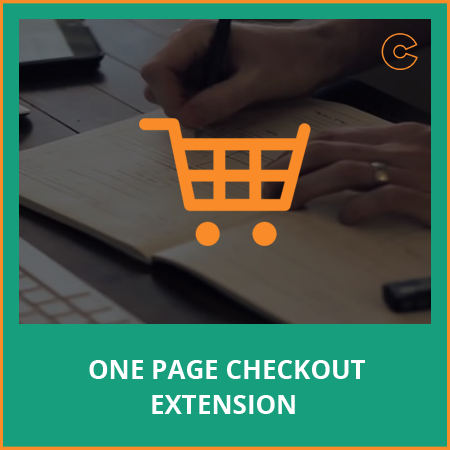 This extension helps you to make the checkout process simple for your customers and motivate them to buy again from your e-Commerce Magento store. The main functionality of this extension is to reduce unnecessary checkout steps and provide the hassle free service to the customers. Multi step checkout is the most irritating and a time consuming process while shopping, so most of the buyers leave the shopping process at the checkout point. Hence, it is very important to provide the easy checkout service to the buyers, so that they can easily shop from your store and speed up their transaction process in a short span of time. Step 3: Login to your Magento administration panel and disable cache ( System -> Cache management and choose "Disable"). Step 4: In your administration panel, visit System -> Configuration -> Advanced under Advanced tab, search for the Ocodewire_OnePageCheckout, if it is there. 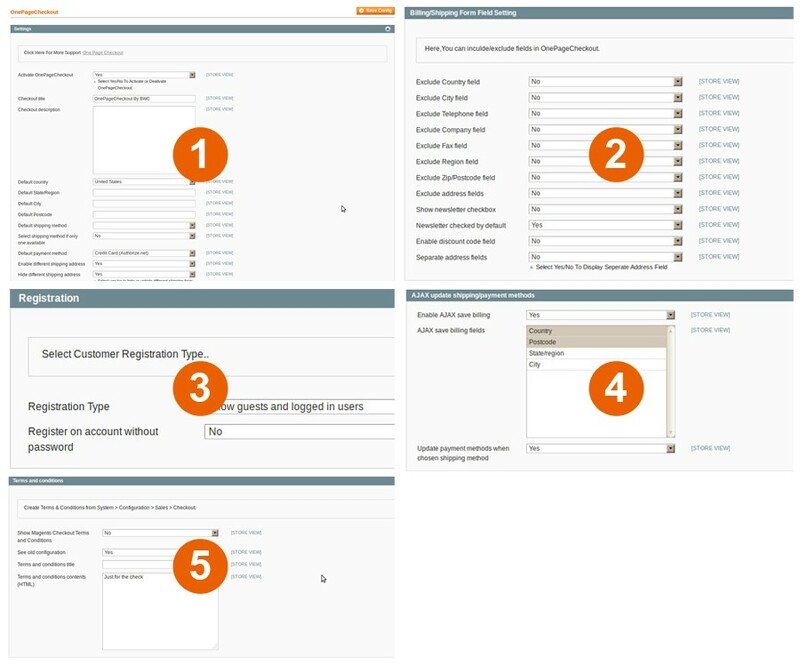 Step 5: In your administration panel, visit System -> Configuration -> OnePageCheckout tab available. Note:- If it is there, the checkout is installed properly and if it is not there, please check the permissions of the Extensions file and assigned the 777 permission to the Extension files. Step 6: Now click on the link OnePageCheckout. If it is showing the 404 Error, just Logout and Login again, it will solve the problem. Step 7: Enable caching under System -> Cache management. Easily activate/deactivate one page checkout through admin panel by just selecting YES or NO option. The option to "Enable Different Shipping Address" by just selecting YES or NO. The option to “Hide Different Shipping Address” by just selecting YES or NO. Include / Exclude field on the checkout page like Company, Country, City, Telephone, Fax, Region, Street or Zip. Easily select the customer register type- Registered User / Guest Users. Easily dispaly checkout term and condition on the checkout page by just selecting YES or NO option. Easily edit and update the checkout term condition. Auto-update order totals when choosing a shipping/payment method. Shipping, Payment Method, Order Review will be auto-updated. Edit checkout title and description. All checkout steps appear simultaneously on a single page. Can fill or edit any step without waiting or going back and forth. Default shipping and payment methods will be auto-selected in checkout. The option to make payment as a guest customer or registered customer. Reduces checkout mulitple steps into one. Auto saves contact information on the field. A: If you get Error 404 after installation while browsing One Page Checkout configuration in admin, please flush the cache, log out from the admin and log in again. You can manage the configuration with our 404 error now. 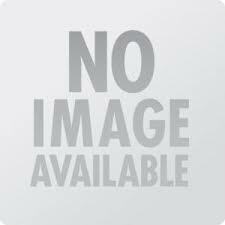 Q: Why One Page Checkout is not displaying in the Magento Configuration? Q: Is this extension is compatible with PayPal charging rules extension, where admin can add credit card cost to the price( if payPal is selected )? A: Yes, it's work with the Paypal charging rules extension. Q: Can this extension be used with other custom themes and extensions? A: Yes, One Page Checkout is used by thousands of customers with lots of different themes and extensions.